The Spirit of the Lord spoke clearly to me yesterday that He is aligning His people with righteousness and truth regarding finances and the stewardship of “mammon”. I was aware of a great kindness and passion within the heart of God to release this word. Luke 16:1-13 tells the parable of the “Unjust Steward”. As I was directed to reread this parable I was taken into a revelation of God’s longing to entrust His people with both financial wealth and Kingdom authority (influence/responsibility) but that He first needed to align many with the proper handling of “mammon”;which God calls the small thing. 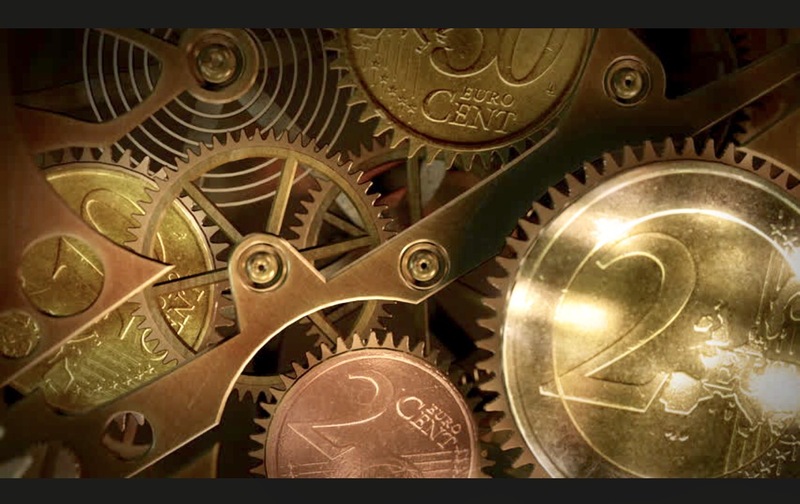 I saw a vision of gold coins and each coin became the wheels in a clock that were turning together. When they were aligned with God’s truth and ways regarding finances (tithing, giving, generosity, benefitting others) they turned with ease and produced more gold (wealth/finances/Kingdom Resources). Then the vision changed and I saw people withholding due to fear, lack, desire for personal pleasures, etc. As this happened I saw these wheels (gold coins) fall away and suddenly what was aligned and turning together to produce gain no longer was turning or producing but rather falling away, like coins falling out of a hole in a pocket. We are being realigned to seek first His Kingdom and to assure that His house is restored (much of it lays in ruins). “So, the principle that Jesus is trying to convey is one of a just steward rather than an unjust one. The unjust steward saw his master’s resources as a means for his own personal enjoyment and advancement. Conversely, Jesus wants His followers to be just, righteous stewards. If we understand the principle that everything we own is a gift from God, then we realize that God is the owner of everything and that we are His stewards. As such, we are to use the Master’s resources to further the Master’s goals. In this specific case, we are to be generous with our wealth and use it for the benefit of others. God is calling His people into the alignment of His truth regarding stewardship of finances as a key to be entrusted with more; more wealth and more of of His Kingdom authority. When we walk in fear or withholding then we place mammon above God’s truth. I felt God’s longing to bless His people but alignment with righteousness regarding the stewardship of “mammon” was required first. The Bible says that the fear of the Lord is beginning of wisdom. It has been a season like I’ve never seen during my lifetime of divine alignment with the truth and righteousness of Christ. Every area is being aligned. God not only desires to bless individuals but to entrust people and groups (ministries, businesses, organizations) with Kingdom influence and responsibilities that require them to walk as just stewards in both finances and character. The gift of repentance has been given because of the kindness of our God. He has been patient and kind by leading us back to truth so that we can partake in the fullness of His Kingdom. There is such a kindness that comes upon God’s people when He desires change. The parable of the “Unjust Steward” was to expose the hearts of the Pharisees and to teach His disciples. His kindness comes to lead us to repentance and change so that He might bless us with greater authority and resources. We are His disciples, not Pharisees, so there is no condemnation…only the kindness of God offering the gift of repentance. There is freedom in truth, freedom in alignment and peace in Godly posturing. The heavy yoke of worldly ways come off of God’s people as they receive the light yoke of God’s truths. Though our minds cannot understand His ways; the truth of His ways are sure and relieve us from the heavy yoke that our minds and thoughts place upon us. There is freedom and peace in alignment. Mammon or money is merely the small thing and yet it is the threshold to being trusted with the eternal things. Cross over into freedom and watch your life change.